Halcyon Gallery, London champions painters and sculptors who display exceptional talent and technical skill. The gallery will present the works of cutting-edge Colombian artist Santiago Montoya, who takes as his material International bank notes to explore culture, currency, and political issues. Santiago Montoya, US Flag (II), Paper money mounted on stainless steel, 77 x 135.5 cm (detail). Courtesy Halcyon Gallery, copyright Santiago Montoya. 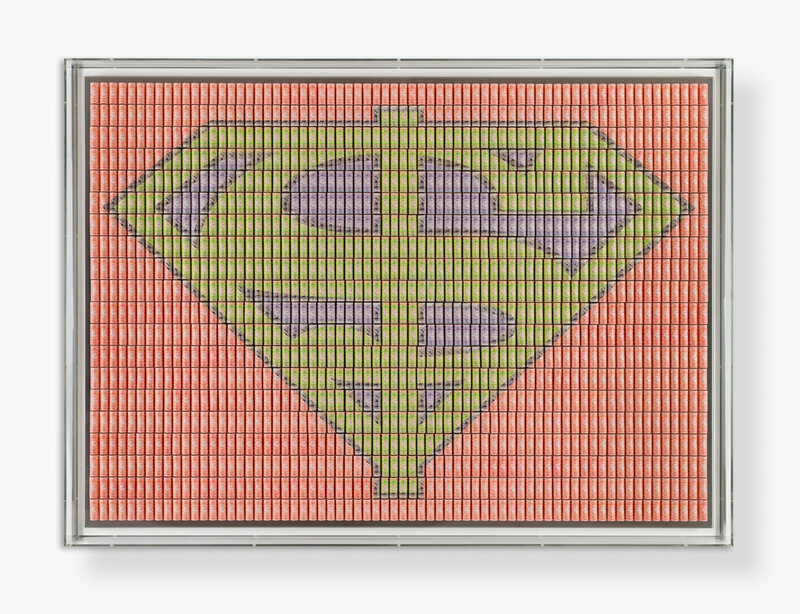 Santiago Montoya, Waiting for Superman (III), Paper money on stainless steel, 110 x 150 cm. Courtesy Halcyon Gallery, copyright Santiago Montoya.